Healing Trauma is a 5-session program designed to help women to begin to recover from the effects of trauma and to help them find ways to grow and flourish and to enjoy healthy relationships and happier lives. The coping skills that it presents can be useful in dealing with a variety of traumatic events, although the primary focus is on intimate-partner violence. 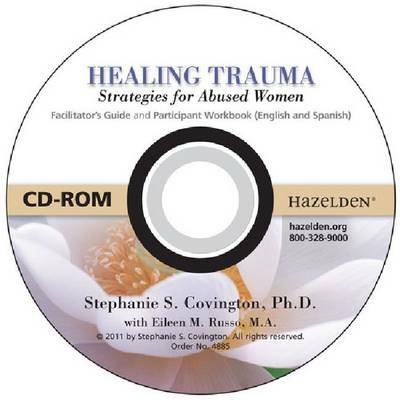 The program consists of five sessions, adapted from the eleven-session Beyond Trauma materials, which present an integrated approach to women's treatment based on theory, research, and clinical experience. This program can be used in any setting: outpatient, residential, therapeutic community, criminal justice, or private practice. It is gender-responsive, which means that it reflects an understanding of the realities of women's lives. This program uses a variety of therapeutic approaches: cognitive-behavioral, expressive arts, and guided imagery. These approaches help the participants to begin to link some of their current difficulties to their trauma histories. Also, many women do not know about the effects of abuse. A program such as Healing Trauma often elicits a response such as, ""Oh, someone knows about this? I've been hiding this for years"" or ""I just thought I was crazy."" Many women express relief when they find out that their thoughts, feelings, and behaviors are normal responses to abnormal events. This program is designed for working with women in a setting in which a short-term intervention is needed. It may be a community-based program (such as a domestic violence shelter, community mental health center, or substance-abuse treatment program), a private setting, or a correctional facility (jail or prison).